As the name suggests, the common cold is perhaps one of the most prevalent ailments. Virtually everyone has come down with the common cold at some point in their lives, making it one grand shared experience, an experience most of us can do without. A common cold is generally perceived as a minor inconvenience until you fall victim to it. While some people brave it better than others, “being under the weather” can really drain the life out of you. Something as effortless as breathing can seem like a laborious task as long as the infection lasts. Some 200 viruses can cause common colds, with the rhinoviruses being the most widespread culprit. This highly contagious viral infection primarily affects the upper part of the respiratory system including the nose and the throat. It spreads mostly through coughing and sneezing. According to the National Center for Complementary and Integrative Health, roughly 1 billion people suffer from the common cold each year in the United States. What starts off as a scratchy feeling in the throat quickly escalates to an all-pervasive sickness, characterized by nasal congestion, swelling of the sinuses, sneezing, coughing, slight fever, and frequent headaches. Also, the body often becomes weak, which can lead to decreased productivity, missed work, missed school, and other problems. The symptoms can last between 2 and 14 days. However, most people recover fully within 10 days. Getting your annual flu shot is perhaps the best way to fortify your immune system against this rather common malady. However, your efforts to one-up the flu bug should not cease at the doctor’s office. 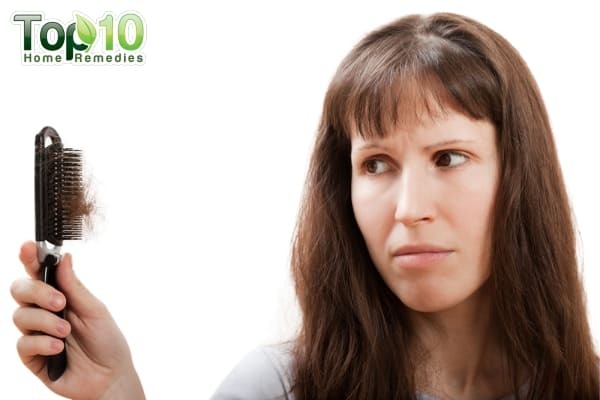 Traditional methods to fight cold symptoms range from home remedies to over-the-counter medicines. Moreover, you can load up on certain immune-boosting foods that will give your body some added strength when you are in the throes of the infection and make the road to recovery a little faster and easier. Besides, proactively making healthy food choices, especially during flu season, can keep you from falling ill in the first place. Here are the recommended food choices for anyone grappling with a bout of the common cold. Green tea is loaded with disease-fighting antioxidants as well as antiviral and antibacterial properties that help fight colds. In particular, a group of antioxidants known as catechins has been shown to inhibit the activity of the common cold virus as well as certain influenza viruses. The antioxidants in green tea can help protect your body against free radicals and similar compounds in the body, helping the immune system function normally. Healthy immune systems are better at handling infections overall. Enjoy 2 or 3 cups of green tea daily to prevent or fight the common cold. You can add lemon and honey to enhance the taste, but avoid adding milk. When drinking the tea, try to inhale the steam also. Doing so will help to reduce congestion and open up a blocked nose. 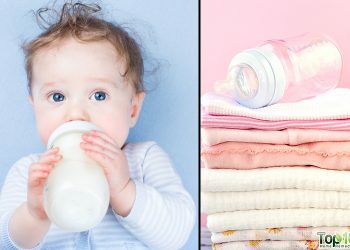 Caution: Limit your green tea intake to 2 cups per day if you are pregnant or breastfeeding. Drink green tea with precaution if you are suffering from anemia, anxiety, bleeding disorders, hypertension, diarrhea, IBS, or osteoporosis as high doses of green tea may worsen the conditions. Garlic is well known for it’s strong antiviral and antibacterial properties and has been used for ages to fight the common cold and many of its symptoms. Plus, it contains allicin, a sulfuric compound that produces potent antioxidants and offers many medicinal benefits. Also, garlic is one of the best immune-boosting foods that help the body ward off and fight infections. A 2001 study published in Advances in Therapy found that taking garlic supplements daily helps prevent common cold episodes in general. Eat one to two raw garlic cloves or add a few drops of garlic oil in your food and drinks regularly to prevent and fight common colds. If you have a cold, you can boil a few chopped garlic cloves in 1 cup of water. Remove the water with garlic from the heat, and add 1 teaspoon of honey to it. Drink this solution two or three times a day until your cold is gone. Caution: Use garlic in moderation if you are pregnant/breastfeeding or giving it to children. Consume garlic with precaution if you are suffering from diabetes, bleeding disorders, low blood pressure, and stomach/digestive problems or you have scheduled surgery. Oranges contain a high amount of vitamin C and can help deal with different types of viral infections, including the common cold. Scientific research has yielded conflicting results regarding the efficacy of vitamin C in improving cold symptoms. Some studies failed to demonstrate any noteworthy benefit of taking vitamin C with respect to the common cold. However, there are studies that indicate that vitamin C intake can reduce the duration of the infection, specifically in those who exercise regularly. Nonetheless, people swear by the revitalizing effect of vitamin C-rich foods, such as oranges. So, it’s absolutely worth trying if you feel the onset of a cold coming. Eating the whole orange ensures you are exposed to all the vital nutrients and fiber in the fruit, as opposed to drinking the juice alone. However, drinking orange juice during a cold will help keep your body well hydrated, which is very important during a cold. Blueberries are known for a variety of benefits. In 2013, researchers at Oregon State University conducted an analysis of 446 compounds for their ability to boost the innate immune system in humans. Researchers discovered a compound called pterostilbene from blueberries that stood out in terms of modulating the immune system. Blueberries also contain many antioxidants, so they can be helpful in the prevention of the common cold as well. Try making a blueberry smoothie for a snack or healthy breakfast. Blend ¾ cup of blueberries with 1 cup of almond milk, spinach, and ice for a tasty treat. Frozen and fresh blueberries have equal nutrition, so you can use either to fight common colds. Note: Blueberry might lower blood sugar levels in people with diabetes. Watch for signs of low blood sugar (hypoglycemia) and monitor your blood sugar carefully if you have diabetes and use blueberry products. In traditional Chinese medicine, mushrooms are often used to fight the common cold and other types of viral infections. Mushrooms increase the production of cytokines, which help keep infections at bay. Plus, mushrooms contain polysaccharides that support the immune system. Mushrooms are also known for their strong antiviral and antibacterial properties, and they contain many essential nutrients. It’s best to switch up the variety of mushrooms you consume to reap all the benefits that different ones have to offer. To fight a cold, your best choices of mushrooms are the white button, portobello, shiitake, and maitake. You can add mushrooms in stir-fries or salads or enjoy a warm bowl of mushroom soup. There are more than 10 trillion bacteria living in our gastrointestinal tracts that are essential for our overall health. It’s important that you are exposed to these beneficial bacteria. You can do this by including probiotic foods like yogurt in your regular diet. Eating a ½ cup of yogurt daily can reduce the incidence of common colds and other viral infections. You can add fruits or nuts to your yogurt to make it tastier and healthier. 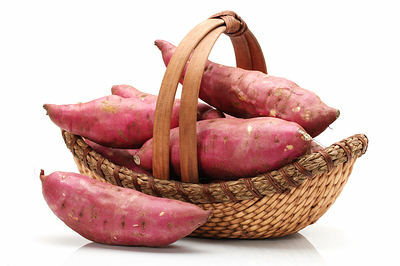 Being rich in beta-carotene, sweet potatoes also play a key role in preventing common colds. When consumed, beta-carotene is converted into vitamin A, which is essential for maintaining a strong immune system and a well-functioning body. Vitamin A also keeps the mucous membranes that line the nose and throat healthy and functioning properly. So, if you do get a cold, symptoms will be mild and you will recover faster. These rich, creamy nuts are high in selenium, a mineral that strengthens the immune system and helps fight infections including common colds. Selenium also helps prevent cellular damage from free radicals by stimulating the synthesis of infection-fighting T-cells. In addition, Brazil nuts contain minerals such as zinc and iron as well as vitamin C, which are essential for maintaining a strong immune system. 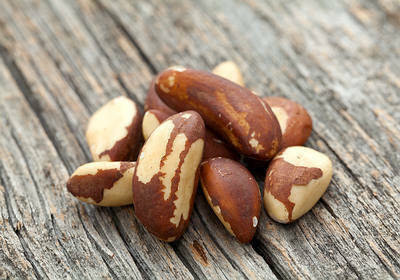 Aim for one serving of Brazilian nuts daily or on most days of the week. They’re a great snack! 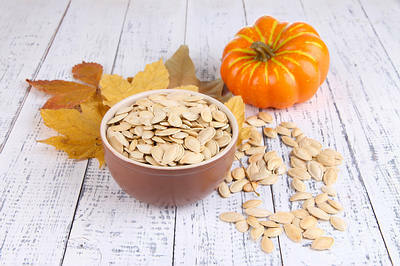 Pumpkin seeds are loaded with zinc, a mineral that plays a key role in fighting off infections such as the common cold. Zinc boosts the immune system and has an antimicrobial effect, so it helps kill the viruses that cause common colds. 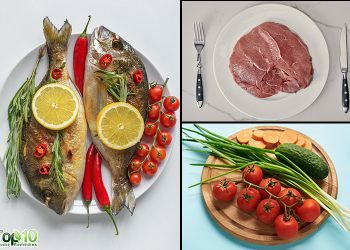 Foods rich in zinc can also help cut down the duration of common cold symptoms. They’re also rich in vitamin E, which may help strengthen the immune system. You can eat roasted pumpkin seeds as a snack or include them in salads, soups, yogurt, or other meals. Because they’re crunchy, they can often satisfy a chip craving. 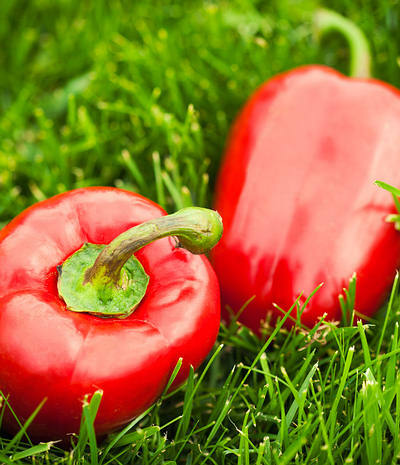 Red bell peppers are packed full of nutrients, antioxidants, and anti-inflammatory properties that play a key role in maintaining a healthy body and strong immune system. They are also rich in vitamin C that, as previously discussed, may help boost the immune system and prevent common colds. Red peppers can be eaten raw, roasted, fried, grilled, or steamed. However, vitamin C will be destroyed in any heating process, so it’s best to eat them raw to reap the full benefits. Just 1 cup of raw red bell pepper will be more than sufficient to fulfill your recommended daily intake of vitamin C.
Making these nutritious foods a part of your daily diet is the best way to give your body a good defense against common colds. 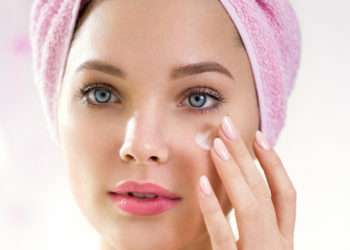 Also, remember that the best prevention is washing your hands thoroughly and often with soap and water. Cold viruses primarily spread when your hands pick up a virus from an infected person or an object where viruses are present, such as doorknobs, and then you touch your mouth, nose, or eyes. Plus, drink plenty of fluids to help loosen congestion and prevent dehydration. A good way to do this is to have hot chicken soup as it will facilitate the movement of mucus and reduce congestion. Worrall G. Common cold. Canadian Family Physician. https://www.ncbi.nlm.nih.gov/pmc/articles/PMC3215607/. Published November 2011. Jacobs SE, Lamson DM, George KS. Human Rhinoviruses. Clinical Microbiological Reviews. https://www.ncbi.nlm.nih.gov/pmc/articles/PMC3553670/. Published January 2013. Flu and Colds: In Depth. National Center for Complementary and Integrative Health. https://nccih.nih.gov/health/flu/indepth. Published October 25, 2018. Wat D. The common cold: a review of the literature. European Journal of Internal Medicine. https://www.ncbi.nlm.nih.gov/pubmed/15172021. Published April 2004. Fujisawa H, Watanabe K, Suma K, et al. Antibacterial potential of garlic-derived allicin and its cancellation by sulfhydryl compounds. Bioscience, Biotechnology, and Biochemistry. https://www.ncbi.nlm.nih.gov/pubmed/19734685. Published September 2009. Douglas RM, Hemilä H, Chalker E, Treacy B. Vitamin C for preventing and treating the common cold. Cochrane Database of Systematic Reviews. https://www.ncbi.nlm.nih.gov/pubmed/17636648. Published July 18, 2007. Red grapes, blueberries may enhance immune function. Oregon State University. https://today.oregonstate.edu/archives/2013/sep/red-grapes-blueberries-may-enhance-immune-function. Published September 13, 2013. Piraino FF. Emerging Antiviral Drugs from Medicinal Mushrooms. International Journal of Medicinal Mushrooms. http://www.dl.begellhouse.com/journals/708ae68d64b17c52,1e91bb632ed37d8b,057d3cc627fe6d43.html. Published 2006. Lindequist U, Niedermeyer THJ, Jülich W- D. The Pharmacological Potential of Mushrooms. Evidence-based Complementary and Alternative Medicine. https://www.ncbi.nlm.nih.gov/pmc/articles/PMC1193547/. Published September 2005. Meydani SN, Ha WK. Immunologic effects of yogurt. The American Journal of Clinical Nutrition. https://academic.oup.com/ajcn/article/71/4/861/4729065. Published April 1, 2000. Tang C, Sun J, Zhou B, et al. Effects of polysaccharides from purple sweet potatoes on immune response and gut microbiota composition in normal and cyclophosphamide treated mice. Food & Function. https://pubs.rsc.org/en/content/articlelanding/2018/fo/c7fo01302g#!divAbstract. Published December 13, 2017. Yang J. Brazil nuts and associated health benefits: A review. LWT- Food Science and Technology. https://www.researchgate.net/publication/223004187. Published December 2009.
wo MII, Insanu M, Dass CAS. Development of immunonutrient from Pumpkin (Cucurbita Moschata Duchense Ex. Lamk.) Seed. Procedia Chemistry. https://www.sciencedirect.com/science/article/pii/S1876619614002022. Published December 25, 2014. CDC Features. Centers for Disease Control and Prevention. https://www.cdc.gov/features/rhinoviruses/index.html. Published February 12, 2018. 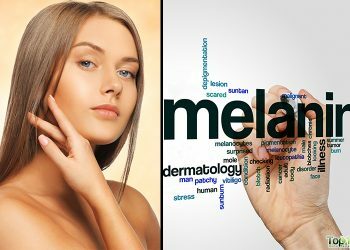 The remedies here given are very useful who prefers natural instead of chemical medicine, it works really well. thank you. Thank you very much for all your hard works for sharing these. Well done! Gud infor ther. these remedies look quite useful… i m going to try most of them in shaa Allah…. jazakallah o khair.. Thank you for all the natural remedies. These r very good tips,A person can do it easily at home,by which people can avoid taking medicines & can give rest to their kideny+liver .